Microgaming’s EmotiCoins is a 5 reel, 3 rows, and 30 pay line online slots game. It has a wide range of bets starting from 0.30 to 300 for each spin, and its mobile compatible. If you love promo's don't forget to check out our slot machine bonuses. 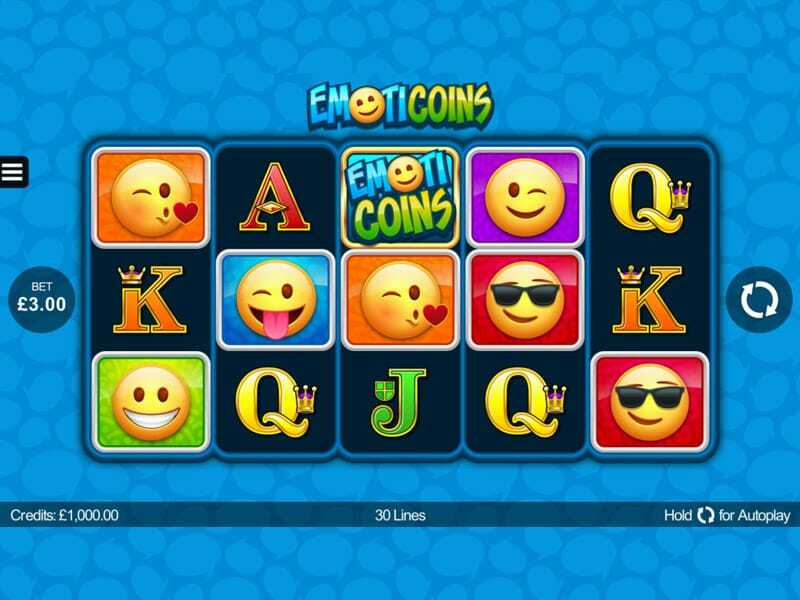 EmotiCoins brings together today’s online language with today’s online slots game; it is an inevitable combination and Microgaming has done it justice. The slots game has an endearing appeal – it toys on familiarity, uses the rise of the Internet era, and sprinkles it with youthfulness. As the premise of this online casino game is pretty basic, the graphics of the game follow suit. It is not overtly high-tech with impressive graphics. It’s rather ordinary in terms of layout, audio, and visuals. The objective, as most slots games go, is to get similar symbols in a row to form a winning combination. The emojis that reputed for their expressiveness do just that – express – every time you land a winning combination. The winking emoji will wink, and the cool sunglasses emoji will smirk. Keeping true to emojis straightforward depictions, which are easily interpreted, EmotiCoins keeps things simple by using the word ‘Wild’ to represent its Wild symbol. And as always, Wild replaces any other symbol except Scatter (LOL). The twist, however, is several Wild symbols (as many as 5) can appear on the screen at one time. The Scatter Symbol here is represented by the abbreviation of ‘Laughing Out Loud’ – LOL. This is probably because it will be hard to wipe that smile off your face when you land your Free Spins. When you land more than 3 LOL symbols you will unlock 10 Free Spins. 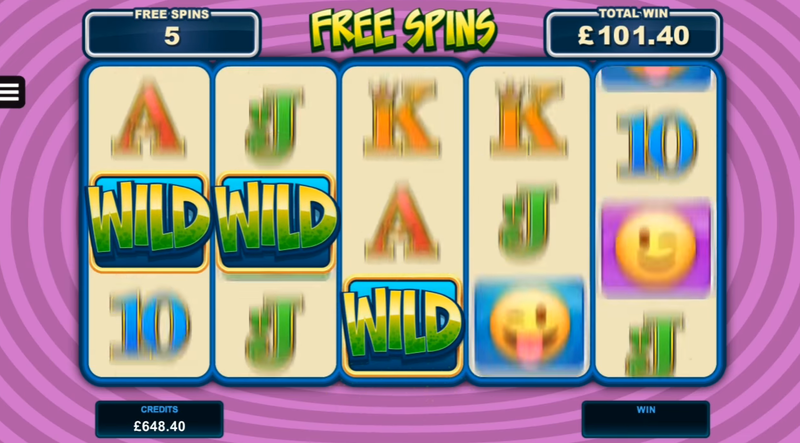 Although the Free Spins cannot be retriggered, there is a Sticky Wilds feature to make up for it. During the Free Spins, this feature gets activated, starting from the first spin. So there will be 1 sticky wild on the reel. In the 3rd, 5th, 7th, and 9th Free Spin, an additional Sticky Wild will be added. So for the last two Free Spins (9th and 10th) you will have a total of five sticky wilds on the reels.